Okay! Musume Time: Kyou wa Arigatou! Happy My Birthday! Let's BOOGIE!!! Kyou wa Arigatou! Happy My Birthday! Let's BOOGIE!!! It's that time of the year once again! The day of the year where I actually do some Spring cleaning! Haha, no, not really! Nope! It's my BIRTHDAY! SUNGOI HAPPY BIRTHDAY, TO ME! MUAHA!!! But yeah, another year, another Birthday! On this day today, it is not just mine and my sisters' celebrations that we think of, but also the Birthday of one other Idol, and the day a member joined Morning Musume. Today, on September 14th, we simultaneously celebrate another year together as sisters, and also the day that Oda Sakura came to be a part of Morning Musume '14, and also celebrate the day that Takahashi was born as well! 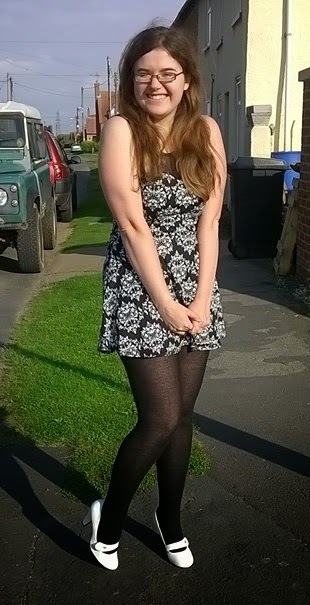 Once again, mandatory Chiima image for the delight of me being the Birthday girl XD For once, it is full length so you can see that I have a body! Amazingly enough, it was also sunny today! Yikes! This post feels rushed, but honestly, I'm just hyper and so happy right now! I am really delighted that I have finally become 22 years of age, and also really happy that, like the past 3 years since starting this Blog, I have yet again successfully posted a Birthday piece for you all! I didn't want to leave it out, even if I am on a Hiatus currently. Also... this is probably the happiest piece of news I've talked about in a while! So, whilst we have had sadness as of late, I am glad that I have found happiness again, even if it is selfishly in the form of my own birthday. I am sorry for not updating, and I am sorry that another post is very vaguely Idol related, but I do enjoy talking to everyone when it comes around to this time of the year. I want to share this day with you all, and to let you know that I am well still, and, right now, very happy. This week, it has been hectic, that's for sure! I have now finished my job, as I leave for University next week, and today I have turned 22. There is much happiness to be had here in my home, and also some sadness at the fact that I will be departing soon, but right now, I am a very happy person and content, and when I am settled in University, I hope to return to you all, because I miss everyone dearly. I love you all, and as always, thank you for reading this blog. Thank you for being a part of my life, and for being a part of my Birthday today. I would not be the Happy Chiima I am today without you. 22 and Happy! Sungoi, My Birthday! Right before bed I noticed you posted this so you can say I am literally deliriously happy reading about all the happiness and adventure in your life and wish you a Happy Birthday, good fortune and much accumulation of wisdom (seeing as University is right around the corner - too exciting!) Been missing you and your batshit craz-awsome little corner of the internet like an itchy, absent limb the last few days in particular because there's nothing else like O!MT and it happens to be my catnip. Think I'm going to have to treat myself to reruns in order to cope. Sonda! To the very first post in 2010! De capo! We so believe in you! Sonda, you're delirious! Go to bed. I mean it. Like, pronto! 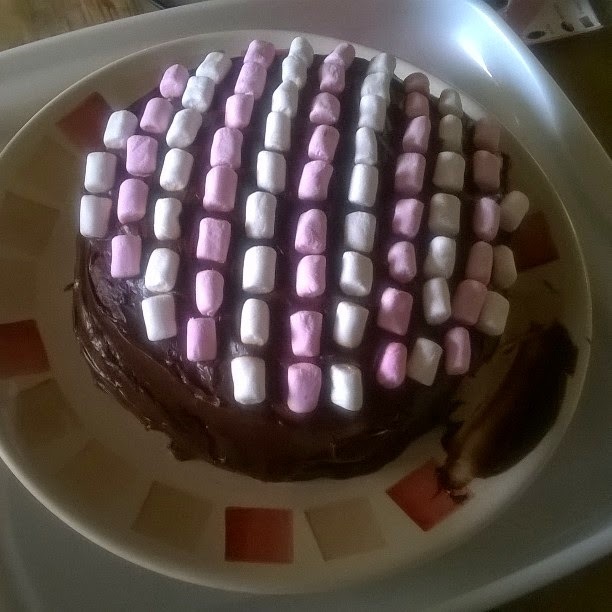 Are those... marshmallows on your cake?